By Jake Rocheleau in Toolkit. Updated on November 22, 2017 . With Yarn you can still pull items from the npm repository, but you can also pull from other repos and manage your own custom dependencies installed across many different machines. The biggest benefit of Yarn is consistency for different versions of scripts and management for different machines. Users who rely on npm may have the latest version of jQuery on their laptop, but might switch over to their desktop and be running a slightly outdated version. This can typically be managed with an update call but Yarn might be easier. Ultimately developers use package managers to install resources called packages from a universal repository. These packages can be libraries, frameworks, or any type of pre-packaged code. On the Yarn GitHub page you’ll find installation instructions for local websites or live production sites. If you’re brand new to Yarn and want to go for a test run, do check out the usage guide on the official website. 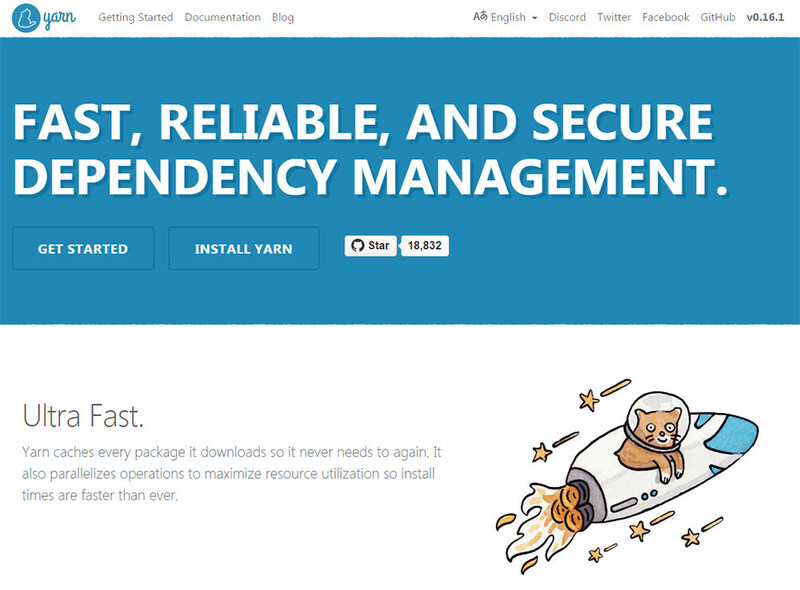 This is one of the simplest package managers to jump into, and if you already have some experience using npm then you’ll feel right at home with Yarn. And since this is still a fairly new project, I expect a lot of updates from Facebook in the coming months.